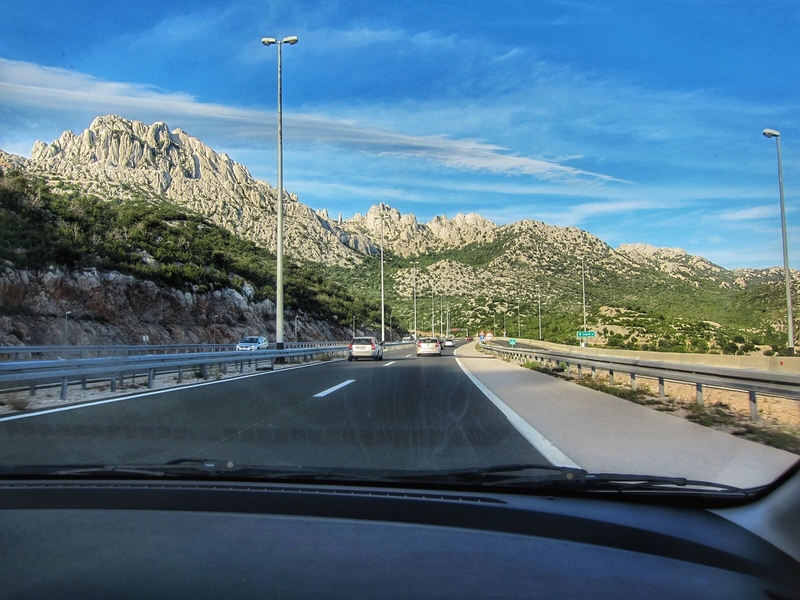 Driving in Croatia is relatively easy as roads – including the motorway system – are of a very good standard. Since Croatia gained independence in 1991, there have been vast improvements to the country’s infrastructure (with many of the motorways built since then). Road signage is also very clear, and you shouldn’t have much trouble navigating around. There are (amongst other routes) now motorways linking Zagreb to Pula, Rijeka, Zadar and Split along the coast and Varazdin in the interior, as well as sections within Istria. The main motorway south – to Dubrovnik – is currently constructed as far as Ploce, which is about 100km north of Dubrovnik (along the coast). 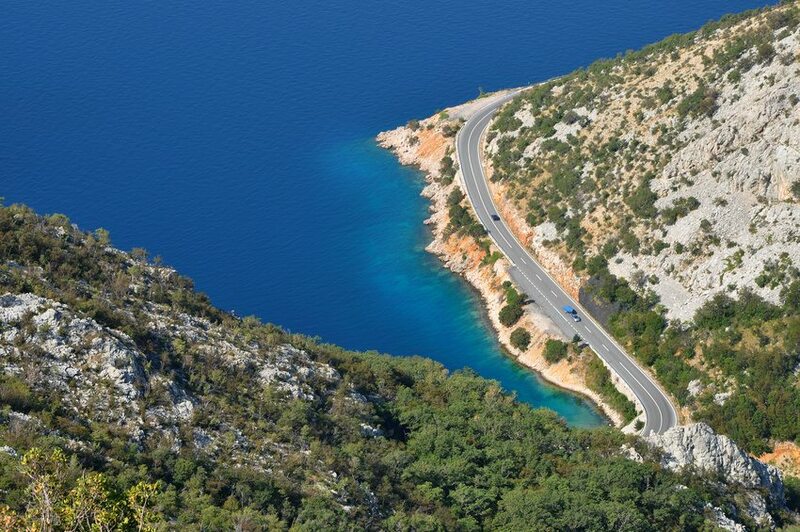 The most picturesque route in Croatia is definitely the Adriatic road (Jadranska magistrala – officially road D8) which connects Rijeka and Dubrovnik. Some people compare this road to the famous Highway 1 between San Francisco and just south of Los Angeles in California. * We would say that ours is prettier! You are unlikely to encounter any problems when driving in Croatia. Even if you do come into some difficulties, most local people will be more than willing to help you. You’ll regularly come across petrol stations when driving, which all offer unleaded and diesel as standard. If you need road assistance, the Croatian Auto Club Emergency Service will help you. Their telephone number is 987. If you are hiring a car, and intend to do some driving to other parts of the region (or indeed, other parts of Europe! ), make sure you check before travelling with your hire company that their car is allowed to go to those countries. If you’ve hired a car in Croatia, you should be allowed to drive into Bosnia & Hercegovina and Montenegro (although do please check); this is unlikely to be the case if you’re hired a car from outside of Croatia (such as Italy, for example). Driving is on the right hand side of the road in Croatia. Overtaking is on the left. It is compulsory for everyone in a vehicle to wear seatbelts. Mobile phone use is forbidden when driving. Hands free devices are permitted. The speed limit on lesser roads is 50 kph, 130 kph on the motorways – however please do pay attention to speed limits, signs and all road markings when driving. It is against the law to drive with a blood alcohol content of more than 0.5g/l – however, better to be on the safe side and to not drink at all if driving! You have to be at least 18 years old to drive a private vehicle in Croatia. There is a different minimum age if renting a vehicle – see our guide to Renting a Car in Croatia. The Croatian Ministry of the Interior have complied a useful brochure (that you may well pick up when driving in the country) on various road rules that also gives assorted tips and advice. You can see the brochure online here. The Croatian Auto Club (Hrvatski Auto Klub – HAK) have produced an app for smart phones that also seems to be very useful. Available for iOS (iPhone) and Android phones, the app details live traffic conditions, webcam images of important road points, petrol prices, information about nearest points of interest (airports, campsites, ATMs, hospitals, pharmacies, tourist boards) and more. Further info on the app here. As mentioned above, the motorway network in Croatia is pretty extensive and you may well find yourself driving on the motorway if driving down the coast (the motorway is slightly inland) from Rijeka to Zadar or Split or a bit beyond, or from Zagreb to the coast. Motorways in Croatia operate on a toll system which is very easy to use. Upon entering the motorway, you take a ticket from the toll booth machine. When exiting, you present your ticket – so don’t lose it! Pay the person at the toll booth for the distance that you have travelled. The amount payable is shown on an electric display; however the toll booth operator should speak a little English if you have any issues. Toll fees can be paid in cash (Kunas, or Euros) as well as by debit/credit card. 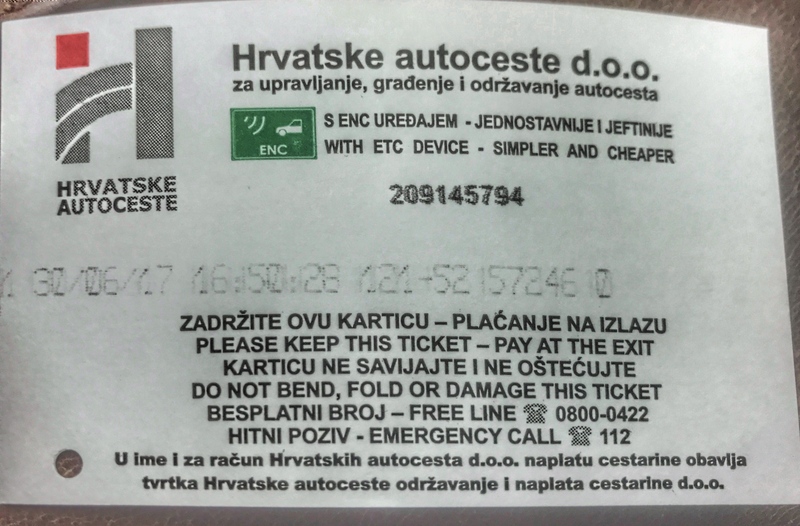 Toll charges only exist on motorways in Croatia. Driving on all other roads does not incur any charges or payments. There are also frequent rest stops on motorways in Croatia. These can range from a very basic stop to park your can and where you can stretch your legs, to full service areas that will have a petrol station, snack shop, a little restaurant and perhaps even a small playground. Petrol (gas) stations are easy to come by in Croatia, and you shouldn’t have any issues filling up your car. Most petrol stations are open from early in the morning to late at night (e.g. 10pm), although some on the motorways are open 24 hours. Debit/credit cards are readily accepted. There are of course petrol stations on the islands too, although not many. Just be sure that you know where the nearest petrol station is if heading to one of the islands! One of the largest petrol station chains is INA – you can do a search of stations on the website here. We doubt you’ll be driving to Croatia with your own electric set of wheels, but it might be interesting to note that there are over 40 locations for charging electric vehicles. Electric car charging points are in locations including Zagreb, Pula, Dubrovnik, Zadar Vukovar, Labin and Lovran. Some charge points are in hotel car parks, and only available to hotel guests. On a slightly different note, electric car enthusiasts might want to read up about the Rimac Concept One, a high performance electric sports car manufactured in Croatia.